One of the most luxurious options for redeeming American AAdvantage miles is on Etihad Airways, which operates out of Abu Dhabi in the United Arab Emirates. 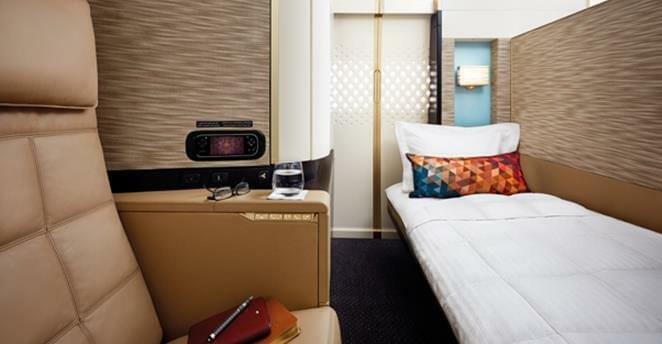 Etihad has received significant press for The Residence, a private three-room cabin on its Airbus A380 aircraft. Although you can’t book The Residence through a partner like American Airlines, you can still find award travel in its fully enclosed First Apartments and lie-flat Business Studios. Travel via the Middle East is one of the more convenient options to reach destinations in Africa, India and the Maldives, Southeast Asia, and Australia with your American AAdvantage miles. The problem is that American Airlines doesn’t display Etihad award space on its website. 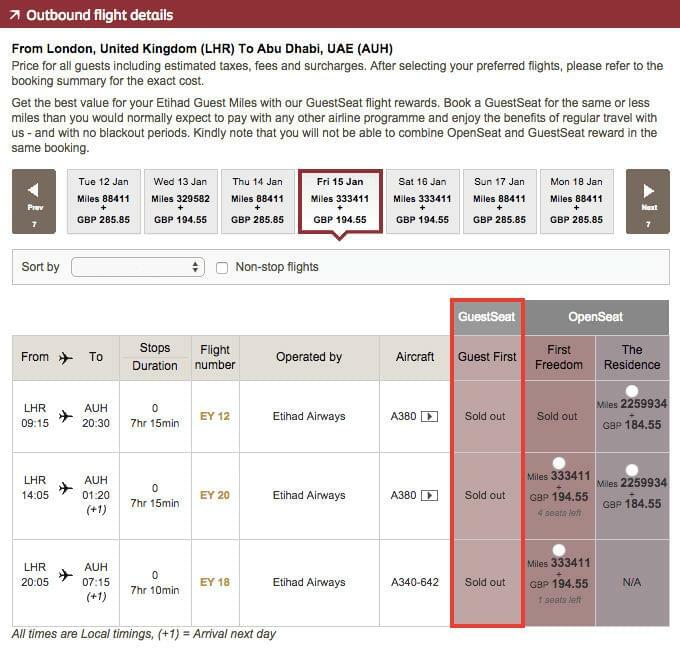 If you were to try to find a flight from London to Abu Dhabi, for example, the only options are on a combination of British Airways and Air Berlin. The British Airways experience won’t be nearly as good, as you’ll have to pay hundreds of dollars in fuel surcharges in addition to the usual taxes and fees.Instead, perform your search on the Etihad Airways website and then call American Airlines to book the ticket by phone. You’ll come out ahead even if you have to pay a telephone reservation fee (waived for some elite members). Etihad does not require you to join its Etihad Guest loyalty program in order to perform a search. Just use the award search page and enter the airports and dates you want to travel. You will also need to choose your cabin class. 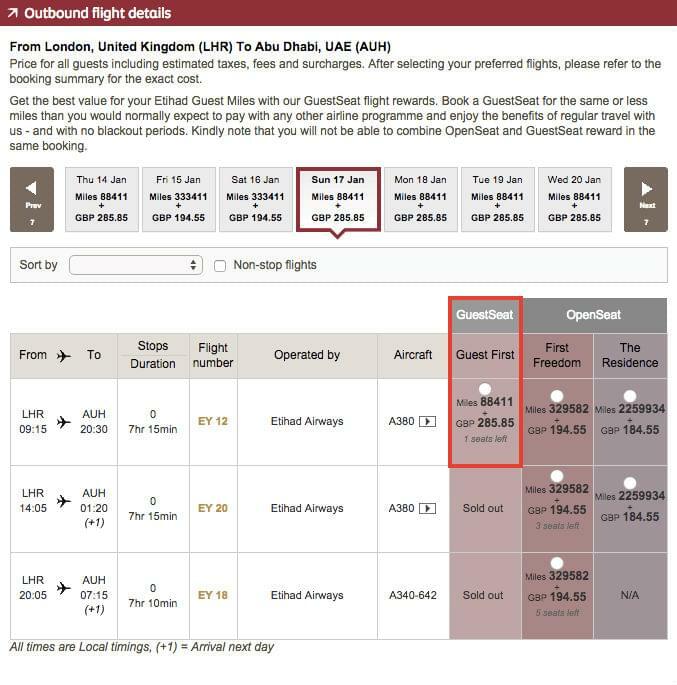 Unlike most airlines, Etihad does not display multiple cabins on the same page. Results will be divided into two categories: GuestSeat and OpenSeat. Ignore the OpenSeat awards, as these are only made available to Etihad Guest members. GuestSeat awards should be available to American AAdvantage members, but you will notice they aren’t available on every day. Keep in mind that all you need to do at this point is determine which dates and flights have GuestSeat award space available. The actual cost of the award is not relevant. These prices, both the miles and the fees, are what Etihad will charge its own members. When you book the same award through American Airlines, the AAdvantage award chart and policies will apply. For example, American charges 40,000 AAdvantage miles for this particular itinerary. American will still collect some taxes and fees, but they will be reduced since it does not pass on the cost of any fuel surcharges for award travel on Etihad. It’s good practice to search for one-way, non-stop travel and build a complete itinerary as you find all the award space you need. Sometimes a single flight is unavailable and the entire query will be returned without results. 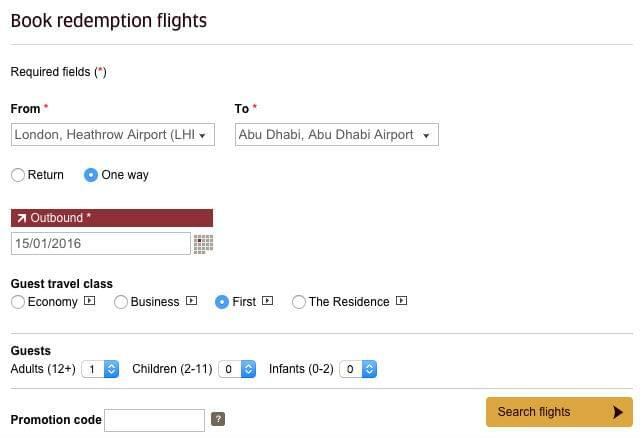 In the case of Etihad, nearly all flights are to or from Abu Dhabi, so you should look for segments to/from AUH. This Etihad route map will help; remember to look only at the red “Etihad Operating Routes” and exclude codeshares. If Etihad doesn’t serve your home airport or your destination, you could add connecting flights on American Airlines or its other partners. Once you find all the segments you want, you can call American Airlines at 1-800-433-7300 to book the ticket. If the agent has trouble finding the same itinerary, you can suggest an earlier agent already found some availability and provide the individual flight numbers. A word of caution: American Airlines will soon raise the cost of award travel on many routes if booked on or after March 22. This means that AAdvantage members who find and book award space before this deadline could save thousands of miles, especially for business and first-class travel. In the example of London to Abu Dhabi used in this post, the new price will be 62,500 miles.